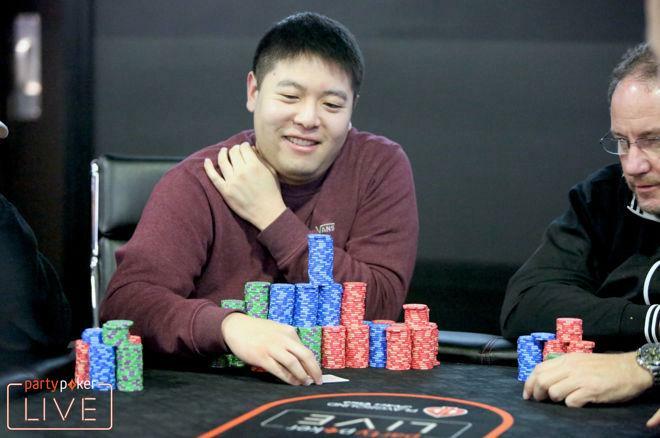 Brian Yoon leads after Day 2a of the partypoker LIVE MILLIONS North America Main Event. The first of two Day 2s have come to an end at the partypoker MILLIONS North America $5,300 Main Event in Montreal, Canada. It was an eventful day that saw a total of 501 players take their seat at the felt and only 132 managed to survive. Brian Yoon started to run away the chip lead mid-way through the day and never looked back. Yoon bagged himself an impressive 24,910,000 chips, and he surprisingly held roughly that many chips when the dinner break arrived. The California native has claimed over $4.5 million in career tournament earnings with his largest cash coming last summer at the 2017 WSOP. Yoon captured his third gold bracelet when he won the $1,500 Monster Stack for a whopping $1,094,349. It seems as though he has a special skill set to work his way through large-tournament fields. A couple of other big stacks to find success throughout the day were Michael Gathy (19,270,000) and Hagop Ketendjian (17,200,000), who have both had plenty of success in their poker career. Josh Trott (16,100,000) and Brian Morgan (15,545,000) round out the top five chip counts. There were many familiar names at every table that made for quite the eventful day of poker. Unfortunately for some, they were unable to run up a stack and busted both bullets before late registration closed. There were plenty of others that fell by the wayside as the last few levels winded down. Some of those names include Martin Jacobson, Chance Kornuth, Ari Engel, Darren Elias, Alex Foxen, and Mohsin Charania. The day ended with a total of 132 players moving on to Day 3 when the tournament director decided to cut the day short by one level. The eliminations were coming at such a rapid pace; they chose to stop play after eight levels to ensure the money bubble would not be reached. 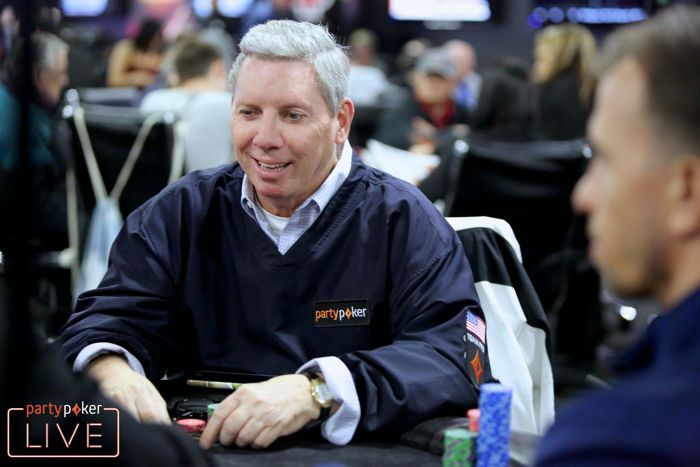 Among those moving on to Day 3 include partypoker Chairman Mike Sexton (2,290,000), partypoker Sponsored Pros Kristen Bicknell (7,790,000), Roberto Romanello (8,100,000), and Richard Dubini (6,480,000), Paul Michaelis (13,155,000), Ema Zajmovic (11,700,000), and defending champion Jean-Pascal Savard (3,890,000). For those that are looking for another shot at the $10,000,000 guaranteed prize pool, Day 2B will be running on Sunday beginning at 12:00 PM EST. Late registration will remain open until the end of level 12 at which point it will officially be closed for good. Players will be allowed one re-entry on the day to run up their biggest possible stack. The PokerNews live reporting team is on site to bring you all of the live updates throughout the tournament. Check the partypoker LIVE MILLIONS North America live updates here. Mike Sexton survived the day with 2,290,000 in chips.